People often put off seeing a doctor. The “I’ll just wait and see if it” – whatever it is – “will go away on its own” approach is quite common. But studies show the top reason patients end up making the appointment is to address skin issues. This makes the dermatologist a critical resource. Here are three of the main concerns prompting your clientele to come in – and how CHOLLEY Suisse can help. As consumers become more savvy about their healthy, they are more apt to notice oddities, whether a new growth or an existing spot that changes in size, color, or shape. If they do not have skin cancer, dermatologists are in the ideal position to help them avoid the illness. Recommending, and carrying, a product like CHOLLEY Edelweiss Cream, gives patients the power of SPF 20 that has been clinically tested for full-spectrum UVA and UVB protection. At the same time, it features antioxidant and anti-aging ingredients, as well as hydrating and emollient actions to ensure an optimal hydrolipid balance. For those with existing damage due to sun, solutions such as our intense whitening treatment or skin repair systems can offer patients the opportunity to reclaim glowing, healthy skin. Acne affects people of all ages, and it can be quite frustrating. Over-the-counter cleansers often leave much to be desired. By contrast our professional quality BIOCLEAN line features an array of solutions that purify without the use of aggressive ingredients, normalize sebum, dry pimples, restore hydrolipid balance, and soothe irritations. BIOCLEAN works to prevent new acne from forming and improve the overall appearance of the skin – while boosting the confidence of those who struggle with acne. Act your age – don’t look it! Dermatologists are frequently called on to help patients stave off the physical signs of aging. METHODE CHOLLEY Anti-aging Therapy and Mini-Treatment for Eye Contours are two examples of effective treatments for reducing the appearance of aging and leaving skin looking, and feeling, its best. When patients finally see they can’t put off skin care and health, reward them with the very best products and solutions. 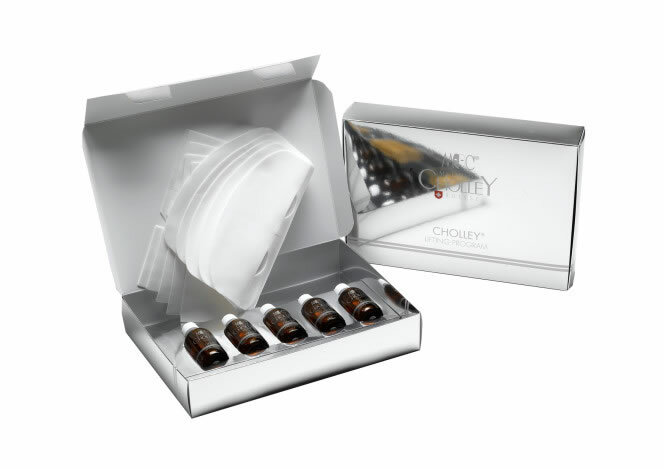 CHOLLEY empowers dermatologists to treat a variety of issues with optimal results.